Born in Kansas City, on July 24, 1934, Alaadeen grew up around music. “I listened to all types of styles. I went to Philharmonic concerts, loved Lester Young, liked T-Bone Walker and was crazy about Eddie “Cleanhead” Vinson. He began on the saxophone when he was in sixth grade, in time also mastering flute, clarinet and oboe. He studied at R.T. Coles High School under the tutelage of Leo H. Davis, a well respected music instructor reported to have taught Charlie Parker. “The way he taught improvisation was to sing the melody in my ear when I soloed so I’d always keep the melody in mind.” Alaadeen debuted as a professional with Davis’ concert band playing e-flat horn when he was 14 and his first major job was playing baritone sax with the great pianist-bandleader Jay McShann. In later years he would rejoin McShann on tenor. 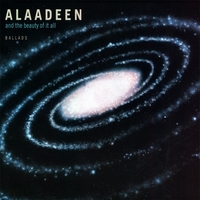 Alaadeen studied at the Kansas City Conservatory of Music (studying flute since the educators did not think of the saxophone as a legitimate instrument), St. Mary’s University (where he studied oboe) and DePaul University. He served in the military during 1957-59, being the Jazz saxophonist and principal oboist with the 4th Army Band. After his discharge, Alaadeen spent time in Chicago, playing in a program led by pianist-composer Richard Abrams that was the beginning of the AACM (Association for the Advancement of Creative Musicians); other members included trumpeter Lester Bowie and bassist Malachi Favors. He picked up a lot of experience living and playing in such cities as New York, Chicago, Denver, Houston, San Antonio and St. Louis. In addition to McShann, he had opportunities to work in a countless number of settings including stints with Miles Davis, Billie Holiday, Ella Fitzgerald, the Count Basie Orchestra, The Glen Miller ghost band under the direction of Tex Beneke, Della Reese, Eddie “Cleanhead” Vinson, T-Bone Walker, Claude “Fiddler” Williams and with R&B stars, Rufus Thomas, Carla Thomas, Gladys Knight, Smokey Robinson, the Temptations, Four Tops and Sam Cooke. After returning to Kansas City, Alaadeen not only played music locally but also became a very significant educator, teaching Jazz in both the school system and privately. “I always tell my students that playing Jazz is a hard life, that it is important to always study and be current, and that they should not be afraid to make mistakes.” His skills as a teacher were recognized when he was inducted into the R.T. Coles/Lincoln High School “Outstanding Alumni Hall Of Fame.” During 1990-91, he won songwriting competitions sponsored by Billboard for his songs Big Six, Wayne Himself and Blues For R.C. Along the way he recorded with Jay McShann, Crown Prince Waterford, the City Light Orchestra and countless others. He led the Deans of Swing in the 1990s, and the ensemble was picked in 1996 as Musician Magazine’s Best Unsigned Band. 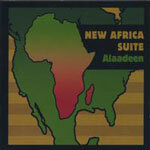 To document his music, Alaadeen started the ‘ASR label. Each of his CDs, which include Blues For RC and Josephine Too, Time Through The Ages, New Africa Suite and And The Beauty Of It All, features him with some of Kansas City’s top young Jazz players. He also prepared many of his original compositions for performance by large Jazz ensemble through his publishing company, Fandeen Publishing Company, Inc. In 2009, Alaadeen authored The Rest of the Story: Jazz Improvization and History, a method manual in which he shares the secrets of how he learned the music as handed down to him by the masters. Alaadeen was recognized in his community and state as a master of the distinctive sound known as Kansas City Jazz with his receipt of numerous awards including Kansas City's Jazz Heritage Award, the Missouri Humanities Council's Community Heritage Award, the Missouri Arts Award and Kansas City’s Lifetime Achievement Award. In 2000, Congresswoman Karen McCarthy recognized Alaadeen in the United States House of Representatives for the contributions he has made to his community's understanding of its heritage and in 2002, Missouri Governor Bob Holden honored Alaadeen at an official dinner at the Governor's Mansion in Jefferson City. In an effort to acknowledge Alaadeen for making a significant impact in the history, development and performance of Jazz, and to applaud Alaadeen for his outstanding achievements in the art form of Jazz, Alaadeen was issued a Proclamation from the Office of the Governor, State of Missouri. The American Jazz Museum honored him with a Lifetime Achievement Award in 2010. Cancer claimed Ahmad Alaadeen's life on August 15, 2010 at the age of 76. All About Jazz musician pages are maintained by musicians, publicists and trusted members like you. Interested? Tell us why you would like to improve the Ahmad Alaadeen musician page.